Welcome to Windflower! 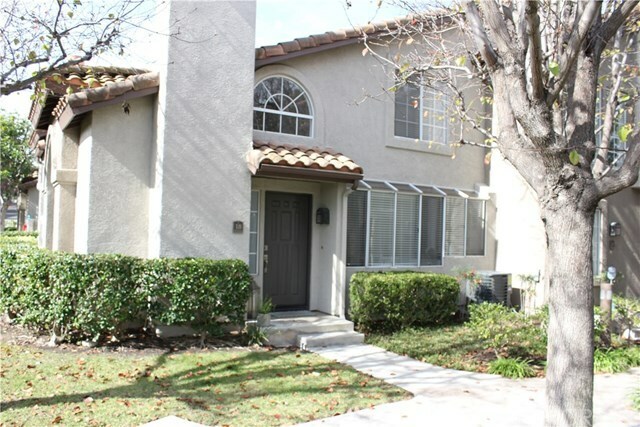 This remodeled end-unit is a must-see in this highly sought after gated community. Many terrific features make this home light and bright with an open airy feel! Kitchen has ample storage and counter space. Features include a spacious and functional open floor plan with DOWNSTAIRS BEDROOM and bath. Both bedrooms upstairs have vaulted ceilings and attached bathrooms. Attached oversized 2-car garage with direct access. Community features greenbelts throughout, sparkling pool and spa, several grills, and a tot lot! Walking distance to shops, restaurants, movie theater, and grocery store along with close access to toll roads.